"Elegant penguins stand around in a huddle. All black and white, they are easy to muddle! One has a secret stowed under its wing. Who is protecting a little fledgling?" Just as its name implies, Britta Teckentrup's latest book is a delightful visual exercise in finding "the odd one out." 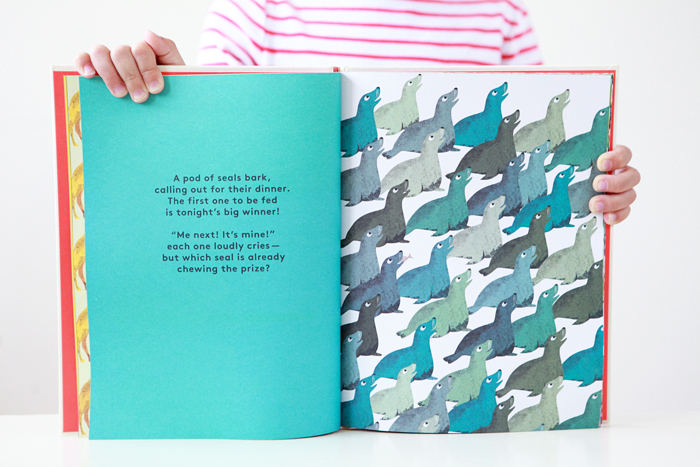 With its brilliant design, playful patterns and clever text, The Odd One Out will be enjoyed by adults as much as children.